Mother’s Day is a time to celebrate and honor the amazing women who have raised us into the people we are today. While you could opt for your standard go-to of a gift, flowers, and a card, this Mother’s Day, treat your mom to a vacation you both will love! With warm and sunny weather, an abundance of fun-filled activities, and tasty restaurants, Las Vegas is the perfect destination to celebrate your mom this Mother’s Day. There is no shortage of things to do for Mother’s Day in Las Vegas. Regardless of your mom’s celebratory preferences, there’s activities for all personality types that will leave her feeling loved and appreciated. 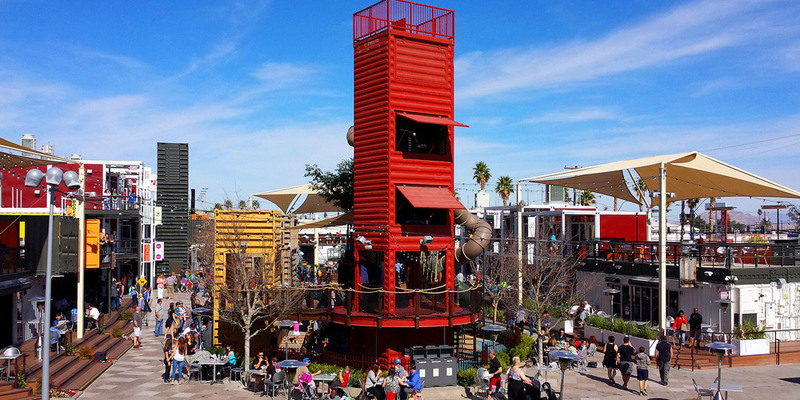 Head to Downtown Container Park, an open-air shopping center with boutique retail shops, unique restaurants, and live entertainment for the whole family to enjoy! There are two special events happening for Mother’s Day Weekend: A Mother’s Day Wine Walk on Saturday and a Mother’s Day Brunch on Sunday. If your mother prefers a more typical (and upscale) shopping experience, visit Fashion Show Mall on the Strip or the Grand Canal Shoppes at the Venetian. If your mom is in need of some much-deserved relaxation, she’s sure to find it at Mahana Spa. Here, she can relax, rejuvenate and revive with therapeutic treatments inspired by the tropics and the rainforests. Mahana Spa offers a variety of massage, facials and therapeutic skin treatments. Hoping for something on the Strip? 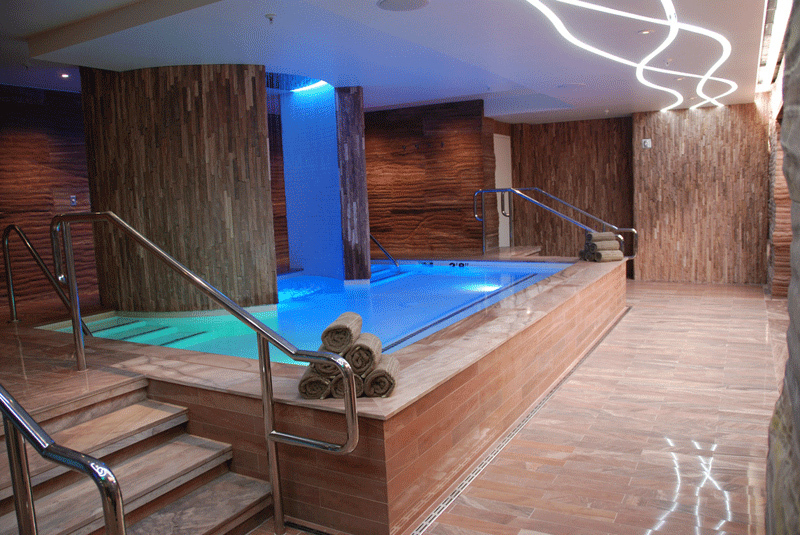 Send her for a treatment to the Sahra Spa at the Cosmopolitan. 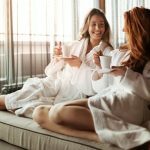 This ultra luxurious spa offers massages, whirlpools, steam rooms, heated stone loungers, and more. Try a cleansing detox, or be invigorated with essential oils. 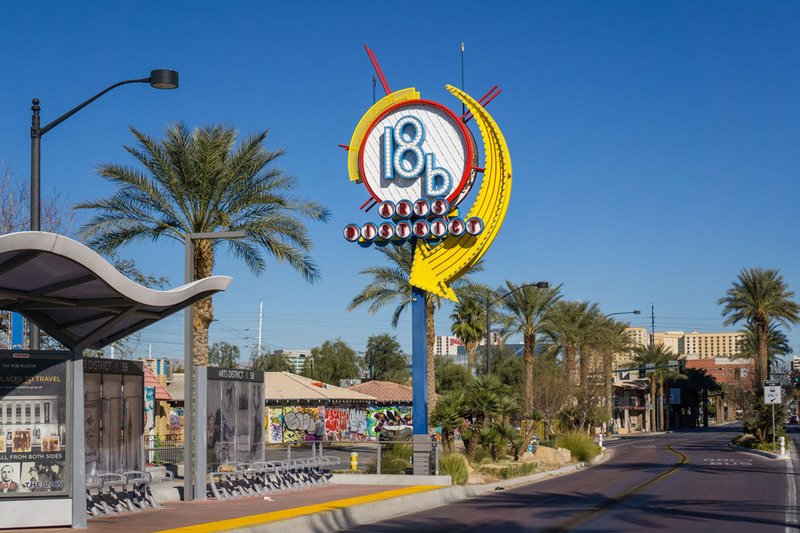 Talk a stroll through 18b, the Las Vegas Art District, and soak up all of the art and culture you never knew existed in Las Vegas. This cultural hub offers indie art galleries, unique performance spaces, tasty restaurants, and bohemian bars. 18b’s major venues include the Arts Factory and Art Square, where the intimate Cockroach Theatre stages independant and offbeat plays. Visitors will notice that the buildings are adorned with graffiti art that reflects the culture of this vibrant neighborhood. Leave your mother in awe with the music, illusion, and acrobatics of a Cirque du Soleil show, a classic that has been delighting audiences for over 20 years. There are seven different themes to choose from on Mother’s Day weekend. These 90-minute shows run all year long and will suit every taste and age group. If your mom is a music lover, allow her to get “On The Floor” at Jennifer Lopez, break out her inner “Tiny Dancer” at Elton John, or “Turn Back Time” at Cher. 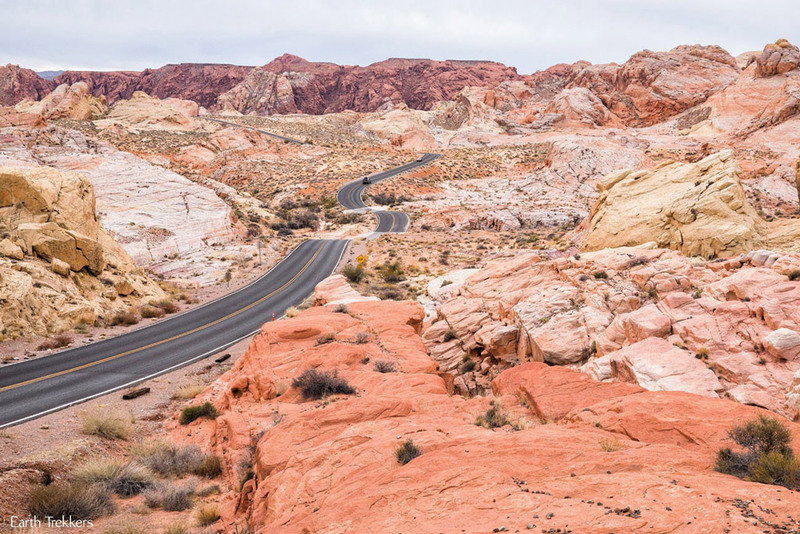 Go the easy route and take a 13-mile, one way scenic drive through Red Rock National Recreation Area. Red Rock Canyon offers hiking and trails, plants and wildlife, geology, and camping. Admire the gorgeous rock formations and if you are up for it, take an easy walk through Calico Basin. If your mom enjoys water sports, take her kayaking at Black Canyon. Arizona Hot Springs, as well as a few other hot springs, can be reached by kayak. Several local kayak rental companies like Desert Adventures will drop you off below the Hoover Dam and pick you up 12 miles downstream at Willow Beach. Enjoy the ride, but be sure to stop and relax in the hot springs, explore side canyons, and allow the current to push you downstream. Mother’s Day and brunch go together like peanut butter and jelly. With so many excellent dining options in Las Vegas, it’s hard to know which is the best for your mom. 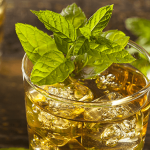 Here’s a list of some of our favorites! If you’re looking for an exceptional prix-fixe brunch and bottomless mimosas, head over to The Capital Grille, located at Fashion Show Las Vegas. The Executive Chefs will be creating a special take on their classic brunch dishes like the Pan-Seared Salmon with Citrus Crab Salad. Lakeside at the Wynn is hosting a lavish, live jazz brunch, overlooking the Lake of Dreams. Listen to David ‘Mojo’ Poe band’s dixieland sounds as your mom selects from raw bar and seafood specialties, a live action omelette and egg station, the continental breakfast buffet, carving station and more. When it comes to dining in Downtown Las Vegas, enjoy Triple George Grill. They will only be offering a 5 course prefix menu for brunch at $46.95 per person. This award-winning restaurant is known for classic American cuisine and its warm and comfortable atmosphere. At Green Valley Ranch, Bottiglia is offering free bottomless mimosas for all moms, during brunch hours only! This ageless restaurant, located in the stunning Green Valley Ranch, offers sophisticated rustic Italian fare. On Mother’s Day 2018, take your mom on a French Mediterranean-themed getaway to Club de Soleil, a sunny oasis located on West Tropicana Avenue just three miles from the celebrated Las Vegas Strip. Allow your mom to soak up the sun at one of our two pools or relax in our soothing hot tubs. Book your room today and treat the special woman in your life to a Mother’s Day she will never forget!